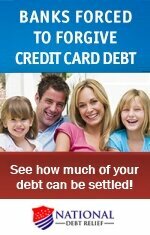 Getting a credit card consolidation loan can be an effective step to help you work your way out of multiple-card debt. It will enable you to combine your balances for easier payment management and, in most circumstances, a lower interest rate. Yet, be aware that lenders do place restrictions and requirements on individuals before they can qualify. Here's some insight to help you learn about what financial institutions want and improve your chances of securing your loan. Before you apply for a debt consolidation loan, take note of the following factors for qualification. data-custom-mark="true"The majority of lenders won’t even consider approving you for a consolidation loan if you cannot prove that you have a steady and reliable source of income. The required income amounts vary by the lending institution in relation to the loan amount, your earnings, financial history, and other factors. Contact a variety of loan providers and inquire about income requirements. Also, be ready to provide your selected lender with a copy of your current monthly budget that details your earnings and expenses. Your budget must show that you are financially capable of making ongoing loan payments. If your income is too low, you don’t have a current job, or you cannot at least provide some kind of reliable income source, you will not be approved. In this case, you need to consider other credit card debt management options, which are explained on this site. The amount of the credit card consolidation loan for which you are applying is another key factor calculated for your eligibility, as noted above. Of course, the higher the amount you need to borrow, the more earnings you need to secure loan approval. For example, if you have a moderate amount of debt on a few credit cards — and you are looking to consolidate the debt for convenience purposes — your chances of being approved are greater than if you have numerous cards that are all maxed out. If you can’t qualify for a loan that incorporates all of your debt, you may want to consider consolidating debt from just the cards that have the highest interest rates. This will enable you to benefit from some savings. Yet, all of your monthly credit card payments and obligations must be reflected in the budget you provide your lender. Credit card consolidation loans are are typically unsecured, which means you don't need to provide "collateral" or something of value as back up. Yet, if you have bad credit, you will likely need to provide some kind of security to the lender that meets or exceeds the value of the loan. For instance, a car or home you own can be used as collateral to protect the financial institution in the event you default on your loan. The worse your credit, the lower your chances of being approved for your loan. Therefore, before applying for your loan, check your credit reports and scores with all three credit report agencies: TransUnion, Expedrian, and Equifax. Review the information and look for any errors or inaccurate information that may be listed. 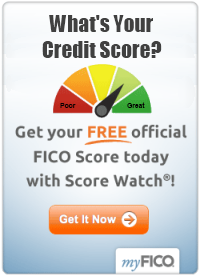 If you find something incorrect, contact each agency to rectify the credit report error. Even the smallest mistake can make the difference between being approved for a loan and being denied. If you don't qualify for a credit card consolidation loan, pursue credit counseling, debt management strategies, and ways to enhance your earnings to help you bring your debt under control.